Prof. Ing. Dr. Vladimír Majer, DrSc. born 19th March 1903, died 5th July 1998. The Vladimir Majer medal is awarded by the Working Group (WG) “Nuclear Chemistry” of the Czech Chemical Society for having significantly contributed to the development of nuclear chemistry or done so in certain area in an authoritative and definitive fashion. The medal bears a portrait of Vladimir Majer, the reverse is engraved with the name of the person winning and the year of award. The medal is awarded at the General Assembly of the Working Group or at meetings (conferences, seminars) organized or co-organised by the Working Group. The medal can be awarded also to important foreign workers during their visit to the Czech Republic. The medal is accompanied by a diploma, which states the reason for the award. Nominations for Vladimir Majer Medals can be made by any member of the Czech Chemical Society. 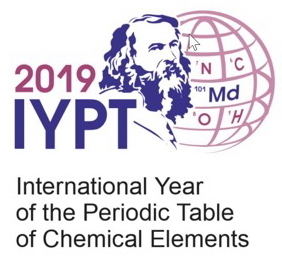 Nominations must be submitted to the WG “Nuclear Chemistry” Committee by 30th June each year. They must be submitted in writing and contain the name of the nominee and the rationale behind their nomination. They are reviewed by an ad hoc group consisting of the Chair and two members of the WG committee. Final selection is made by the WG Committee based on the proposal of the ad hoc group; it is submitted for confirmation to the chair of the Presidium of the Czech Chemical Society. Names of award winners are recorded in the Book of Vladimir Majer Medal holders. The medal was designed by M.A. Peter Vogel. Minting of the portrait commemorative medals was performed by KAZDA and son, minting of the pakfong edge with writing was done by Znak Mala Skala company, smelting and pressing of uranium glass was performed by Mg.A. Petr Larva in Ave Clara Glass Factory, Polevsko, glassworks. One medal was handed over to the numismatic collection of the Czech National Museum. 2016 prof. Ing. Jan Kučera, CSc. For his contribution to the field of radiochemical neutron activation analysis and for his merits for its development in Czechoslovakia and the Czech Republic. 2016 doc. Ing. Zdeněk Řanda, DrSc. For his contribution to the field of instrumental gamma and neutron activation analysis and for his merits for their development in Czechoslovakia and the Czech Republic. 2016 Heinz W. Gäggeler, Prof. Dr. phil. nat. Dr. h.c. For his contribution to the chemistry of transactinides and to the application of nuclear chemical methods in atmospheric and glaciochemistry. 2015 doc. RNDr. Adolf Zeman, CSc. For his merits for the nuclear chemistry development and active contribution to the introduction of new study programme in nuclear chemistry at the Czech Technical University in Prague. 2015 Ing. Miloslav Vobecký, CSc. For his contribution to the field of instrumental analytical methods and for his merits for their development in Czechoslovakia and the Czech Republic. 2014 prof. Ing. Petr Beneš, DrSc. (in memoriam) For lifelong contribution to the nuclear chemistry development in Czechoslovakia and the Czech Republic.